Labor Day comes once a year, but this year Climatech Air is celebrating all month long with a great deal on a Preventative Maintenance Plan! That’s right, September is the perfect time to have your comfort system checked and prepared for the upcoming winter air. Preventative Heating Maintenance is imperative to ensure your comfort system runs as smoothly and as effectively as possible, especially throughout the winter. At Climatech Air Inc we are Savannahs number one go to for your heating and air conditioning needs. 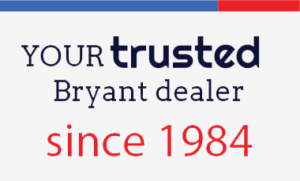 We are a Bryant factory authorized dealer and take pride in providing superior service with excellent quality parts, like Bryant. Take a look below and see the many benefits of a Preventative Maintenance Plan. And most importantly it saves you money by making minor repairs before they become major breakdowns. Its’ true that Savannah’s winters are mild, but when that winter chill is in the air you want your home and office to be comfortable and your heat to work when its needed. Coils, electrical switches and motors become dirty and require a tune up. 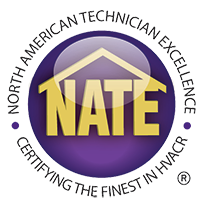 Our service plan inspection will deal with every important component of your system. We clean, check, measure, tighten and examine your entire air conditioning unit and take pride in providing 100% customer satisfaction. Climatech Air has been providing Savannah and the surrounding areas with exceptional service for over 30 years. Our technicians are professional, courteous, honest and trustworthy. As you are celebrating this Labor Day with friends and family, be sure to schedule your Preventative Heating Maintenance on your air conditioning and heating system and enjoy having peace of mind that your comfort system is reliable and efficient. Don’t forget to take advantage of this month’s incredible savings on a Preventative Maintenance Plan. Contact us today!